●Wear clothing that is not offensive to public order or morals. 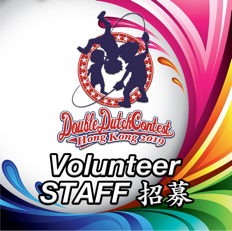 If the DOUBLE DUTCH CONTEST Executive Committee determines that any of the following acts take place, then your team will be disqualified regardless of the competition proceedings. ●Acts which significantly interfere with the event preparation and operation. ●Dangerous acrobatic moves such as a front or back flip with a double rotation in the air. ※Only instances in which the number of team members decreases due to unforeseen circumstances, such as injuries, etc., is a change in team members accepted. In this case, this change must be reported ahead of time to the DOUBLE DUTCH CONTEST Executive Committee. ●Team members not registered to compete in the Speed event compete in it. ●Acts which intentionally interfere with other teams. ●Use of ropes of a material that dirties the stage or damages the linoleum covering. ●Acts offensive to public order or morals. event again after a few other teams have competed. will not be permitted, but if all of the following conditions are satisfied, then participation will be permitted. ① The “actually competing team members” are not all of the “registered team members,” but are composed of the registered team members. ② The “actually competing team members” satisfy the conditions of the division in which they are competing (number of people, gender, age, Performance conditions, etc.). ③ This information is reported to the DDCHK Executive Committee head of time. ④　The reason for ③ (injury, school-related activity, etc.) must be explained at that time. ●If the medical staff determines it “dangerous” for a team to proceed any further competing in their Speed event or Performance event in the competition, then the music will be stopped even while they are performing and that team’s participation in that event will be terminated at that time. They will not be able to have a second attempt at that event. Ex. 1) A jumper lands on his/her head or a body joint when doing an acrobatic move. Ex. 2) A jumper does not land on his/her head or a body joint, but they are not stable. Ex. 3) A jumper is injured, regardless of whether it was due to a dangerous acrobatic move, etc. and they cannot continue to compete because they are unable to get up, they are staggering, they cannot properly move the injured part of their body, etc. Ex. 4) A jumper was injured prior to the competition, and are not in a state in which they are able to compete. Ex. 5) Other instances in which the medical staff determines it is dangerous. ●If there are technical difficulties and a problem occurs during the performance in which different music is played than the music that was submitted ahead of time (including instances in which the mus skips ahead or there is static, etc.) the team leader can raise his/her hand as soon as that is noticed to stop the performance and then request to have a “Music trouble check.” This will result in the confirmation of the submitted music and performance video footage, and if it was confirmed that there was a problem with the music, a second attempt at the performance will be granted after a break of at least 10 minutes. In this case, the performance score will be that of the score attained on the second attempt. However, it is not possible to request a “Music trouble check” after the performance is over. In addition, if a “Music trouble check” is requested, but no problem with the music is found, it will not be possible to have a second attempt at the performance. In that case the performance score will be that of the score at the point in which the performance stopped. ●Please do not use music with obscene or inappropriate lyrics. 30 seconds. The 30 seconds time limit runs continuously with no stops or breaks. "Double Dutch Contest. Speed. Judges ready? Jumpers ready? On your mark, Get set, Go!!" ●The signal to stop is when the buzzer sounds after 30 seconds. ● The BGM has a countdown at the end of the 30 seconds, so at 20 seconds into the time you willhear "Ten," and for the last 5 seconds, "Five, Four, Three, Two, One." The purpose is to complete as many jumps as possible in 30 seconds. The Speed Step must be used. All skippers and turners must remain in their designated area. Only activity in the designated area counts. The Head Judge will reposition any skipper/team who/which moves out of their designated area while the clock is still running. 2 x 60 seconds. The 120 seconds (three minutes) time limit runs continuously with no stops or breaks. "Judges ready? Skippers, ready? Set. BEEP 15. 30. 45. BEEP 15. 30. 45. BEEP. To complete as many jumps as possible within the time limit with a relay of 2 different skippers. The first skipper jumps for the first 60 seconds. At the 60 sec mark, "BEEP" is called and the first skipper exits the ropes. The second skipper must not enter the ropes until after the call of "BEEP" and after the new turner has taken over the ropes completely. the first skipper has jumped out of the ropes completely. Each skipper must remain in their designated area during the entire event and only activity in the designated area counts. The Head Judge will reposition any skipper who moves out of their designated area while the clock is still running (this includes also skippers that already skipped their 60” or still have to skip their 60”). There will be a deduction of 5 points from the raw score for each False Switch. In this case a False Switch is entering the ropes before the new turner has complete and independent control of the ropes OR the previous skipper taking over the ropes for turning before the switch is called out. There is no break in timing for the switch to be made. When “BEEP” is called the counting is stopped until the next skipper begins with the right foot hitting the floor and the rope passing under the right foot cleanly. 4 x 45 seconds. The 180 seconds (three minutes) time limit runs continuously with no stops or breaks. "Judges ready? Skippers, ready? Set. BEEP. 15. 30. BEEP. 15. 30. BEEP. 15. 30. BEEP. 15. 30. BEEP." To complete as many jumps as possible within the time limit with a relay of 4 different skippers. 1. A and B turn for C, who is facing B. 2. A and C turn for D, who is facing A. 3. D and C turn for B, who is facing C.
4. D and B turn for A, who is facing D.
If a skipper does not face the correct turner the team is disqualified from this event. The Head Judge must inform the skipper of the mistake as soon as it is noticed. The first skipper jumps for the first 45 seconds. At the 45 sec mark, "BEEP" is called and the first skipper exits the ropes. The second skipper must not enter the ropes until after the call of "BEEP" and after the new turner has taken over the ropes completely. The same procedure is valid for each switch. Each skipper must remain in their designated area during the entire event and only activity in the designated area counts. The Head Judge will reposition any skipper who moves out of their designated area while the clock is still running (this includes also skippers that already skipped their 45” or still have to skip their 45”). All members of the team participate in a double dutch performance to music in which technical ability, expression, choreography, and originality are judged. The Performance time limits are as follows: Mini Fusion 1-1.5min. , Performance 2 – 3 min. There are two ways a performance may begin, starting the BGM with the players on stage or off stage. 1. Players start on stage: Players wait on stage for the BGM to start. Then they begin their performance. 2. Players off stage: Players wait off stage for the BGM to start. Then they enter the stage and begin their performance. 1. When the players are in position and ready to begin on stage, the team leader will raise his/her hand to signal that they are ready. 2. The person in charge of sound will start the BGM. 3. As soon as the music begins, the performance will begin. 4. As soon as the music ends, the performance will end. 1. When the players are in position and ready to begin off stage, the team leader will raise his/her hand tosignal that they are ready. (fade out, echo, etc. ), and be submitted in MP3 format prior to the competition. 2.Please refer to “Contest Rules 4) MISC.” for information regarding technical difficulties with BGM after your performance begins. 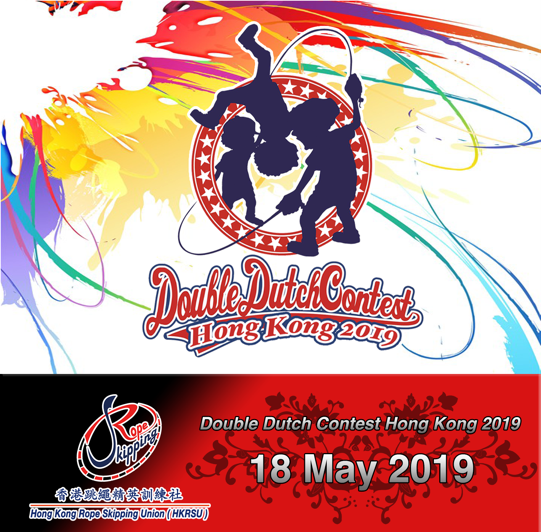 Acrobatic skills for the DOUBLE DUTCH CONTEST are defined as follows: Gymnastic skills, break dance moves, or circus stunts such as a front flip or jumping using body parts other than only feet (push-ups, donkeys, shifts, etc.). This includes skills done in pairs. and practice beforehand in a safe and well-planned manner. 5.The same judging standards apply to all skippers, regardless of age or gender. his /her team will be disqualified, regardless of their ranking. ●The judges will evaluate the performance based on the criteria listed below. ●The ranking of the Junior and U-19 Division teams will be determined by their overall scores. to determine their final ranks. ●If a team commits an act specified in the Contest Rules "3. Prohibited Acts," their performance will be stopped and they will be disqualified. "Technical Ability" (max 30 points), "Expression" (max 20 points), "Choreography" (max 30 points), "Originality" (max 20 points). Overall scores will be calculated as follows. Battle Round: Each battles twice per Round. Time limits will be enforced in 1 minutes max per round. will decide the first one per round who be pointed. ◼All music will be selected by the competition DJ. ◼Any competitor who runs late for their Battle, will be responsible for the forfeiture of that Battle.